Launching in store *NEW* HEAD SPEED TOUCH 2017 Tennis Racket ! Try out the NEXT GENERATION of HEAD TENNIS RACKET – the HEAD GRAPHENE TOUCH. Give yourself the best advantage to your game – see it, asks questions, feel it against our in-store hitting wall, take it home for a week….. It’s well worth a visit to our large retail space in Farnham, Surrey – devoted to all things racket sport and open every day. Call us for more info on 01252 717214. This new tennis racket has new construction, but still compatible with Sony Smart Tennis Sensor. 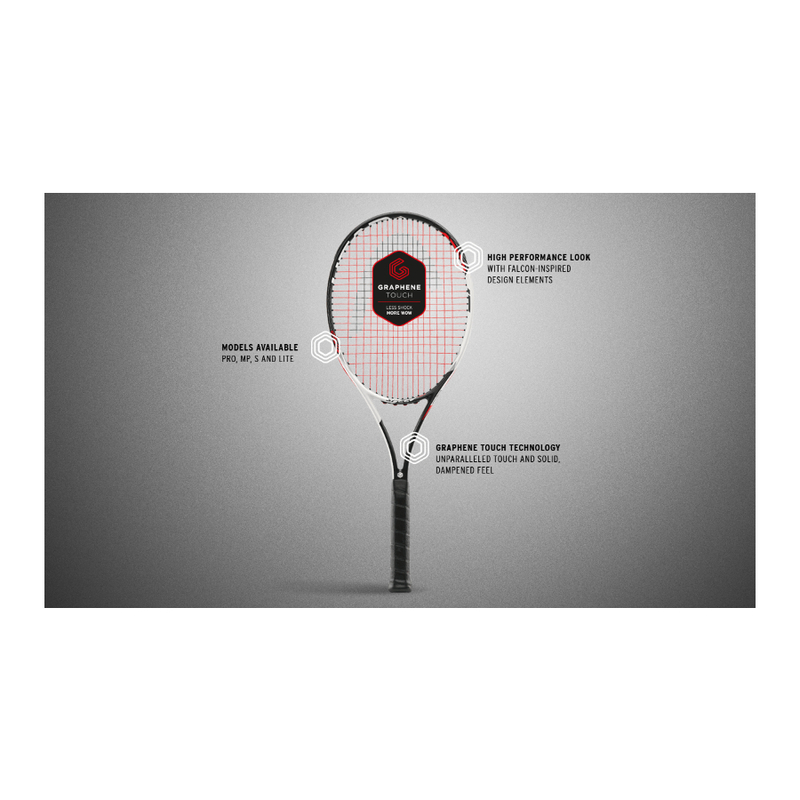 The HEAD GRAPHENE TOUCH offers superior solid dampened feel to this new tennis racket line. Less shock and vibration. More WOW ! Legendary No. 1 Squash Player RAMY ASHOUR signs with SALMING !